A study found that reading speeds decline on e-readers, although satisfaction ratings bode well for the future of tablet devices. (Mashable) -- It takes longer to read books on a Kindle 2 or an iPad versus a printed book, Jakob Nielsen of product development consultancy Nielsen Norman Group discovered in a recent usability survey. The study found that reading speeds declined by 6.2 percent on the iPad and 10.7 percent on theKindle compared to print. However, Nielsen conceded that the differences in reading speed between the two devices were not "statistically significant because of the data's fairly high variability" -- in other words, the study did not prove that the iPad allowed for faster reading than the Kindle. A total of 24 participants (10 is about average for a usability survey) were given short stories by Ernest Hemingway to read in print and oniPads, Kindles and desktop PCs. Hemingway was chosen because his work utilizes simple language and is "pleasant and engaging to read." The narratives took an average of 17 minutes and 20 seconds from start to finish -- enough time to get readers fully "immersed" in the stories, Nielsen explained. After reading, participants filled out a brief comprehension questionnaire to make sure no one had skimmed through a story. Users rated their satisfaction with each device; the iPad, Kindle and printed book scored 5.8, 5.7 and 5.6, on a scale of 7, respectively, while the PC received an average score of 3.6 -- due, in part, because reading on a PC reminded readers of work. Participants also complained about the weight of the iPad and the Kindle's weak contrast. As Nielsen notes, the satisfaction ratings on the survey are promising for the future of e-readers and tablet devices. However, I can see universities and businesses taking less kindly to e-readers if further studies prove that they handicap reading speed. What do you think of the results? 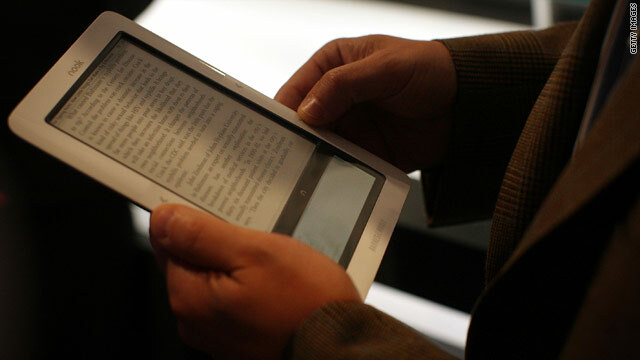 Do you prefer to read on an e-reader, tablet or in print -- and why?